My first computer was an Amstrad CPC464, a home computer that had a then-massive 64k of memory and a built-in tape deck. At first, I had the green screen version. I later upgraded to an Amstrad CPC6128 with a disc drive. Today, I write books about computers and technology, and I think a lot of us who work with computers today are able to do so because of what we learned on those 8-bits in our bedrooms. The Amstrad also gave me my first opportunities to be published. During the 1990s I contributed type-ins and the odd article to Amstrad Action and Amstrad Computer User. In 1993, I wrote the advanced Amstrad Basic programming book 'The Basic Idea'. Now you can download my Amstrad games and utilities and (if anyone's still using Amstrad Basic!) read the book in full online. You can download a disc image which contains nearly all the games and utilities I wrote for Amstrad Action and Amstrad Computer User. It also includes all the demonstration files from my book 'The Basic Idea', which you can read online below. Play popular Amstrad games using a free Amstrad emulator on your PC. Read my instructions for using Winape here. Get retro on the Nintendo DS with my blog post about using the CrocoDS emulator to play Roland on the Ropes, Chuckie Egg and more. More places to indulge your passion for classic machines and computer games of the 80s, including links to sources of free games. This Amstrad Basic programming tutorial was commercially published as 'The Basic Idea' by Campursoft and was awarded 85% in Amstrad Action's review (May 1994), which concluded "it's difficult to see how Campursoft managed to come up with a tutorial that will not only hold your attention long enough to shove information down your throat, but will be friendly and straightforward enough that you'll want to swallow." I've put the whole tutorial online now, and you can get the demonstration programs on my Amstrad disc. This article introducing Amstrad Basic appeared in Wacci as part of its 'A-Z' of the Amstrad, and introduces Amstrad Basic and the programming culture that surrounded the machine. How to debug Amstrad Basic programs, including a quick lookup table for each error message. 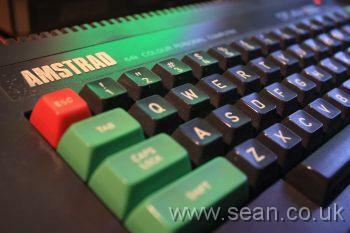 How to make programs for the Amstrad CPC6128 or CPC664 work on the 464. Includes a table of commands that don't work on the 464, and a routine to add FILL to the CPC. How to protect your Basic programs, and circumvent some of the common protection methods. Exploring user defined graphics, used for creating customised typefaces and special effects. This section includes a lookup table of control codes, together with demonstrations of how they can be used for screen layout. By using colour swapping, whole screens can be quickly animated. This includes several demonstrations of the technique and full instructions to use it in your own programs. How to write sound effects and music for your games, including a sound effects editing program. How to integrate machine code with Basic programs. This includes a program for making DATA statements from code and some tips on using CALL and relocating machine code programs. A full toolkit for putting machine code sprites into your Basic games is included on the disc. 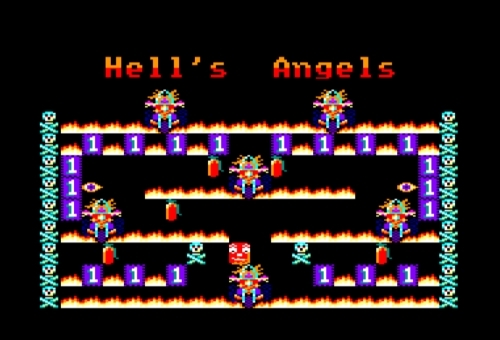 This extends the version which appeared on an Amstrad Action covertape with a more precise and more compact sprite driver. Bringing a lot of these techniques together is our final game, the sliding puzzle game Misfit. Read my review of Alan Sugar's book accompanying the TV series.